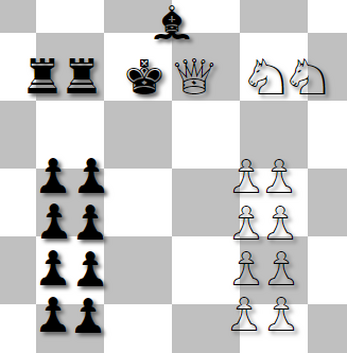 WHAT IF CHESS HAD NO RULES? One upstart game developer was brave enough to ask the question, and yet braver enough to answer it. This is the answer. Can two pieces occupy the same space? How do I take a piece? There's no rule for that, that's not a thing. No, because that would require a rule. It's like you're not listening. I want to win! How can I win? So I guess you're not listening. Fine. If you want to win, you can win. There are no rules that says you can't win, so you win, I guess. Congratulations! When I started programming as a kid, I messed around with graphics and made stuff that bounced around and flashed different colours. Then programming became my job, and it also became very boring. Not just boring, but "systems integrations" boring. I haven't coded anything just for fun for years and years. When Sophie announced #ChessJam, I made a dumb quip about "chess with no rules", and later I realized that I could follow through on the joke and actually just make it. And wouldn't you know it, coding can be fun. Why does my browser say that you're trying to load unsafe scripts? Because sometimes itch.io tries to load stuff from HTTP when it should be using HTTPS. I don't know why. Refreshing the page seems to fix it? This is a common misconception. There are no rules against flinging the pieces out of the window. 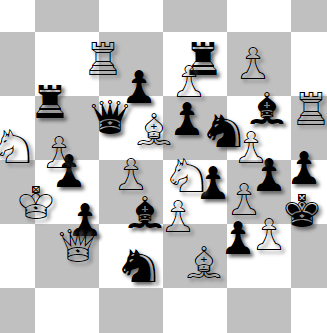 In practice, you are still playing No Rules Chess. 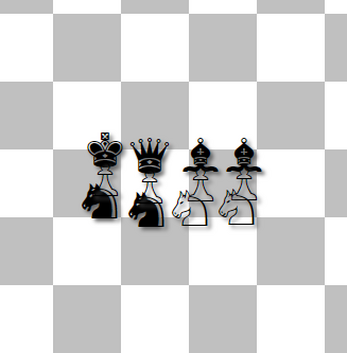 We are all playing No Rules Chess, indefinitely. Hey, I love this. That's all. Thank you! That's so sweet of you to say.